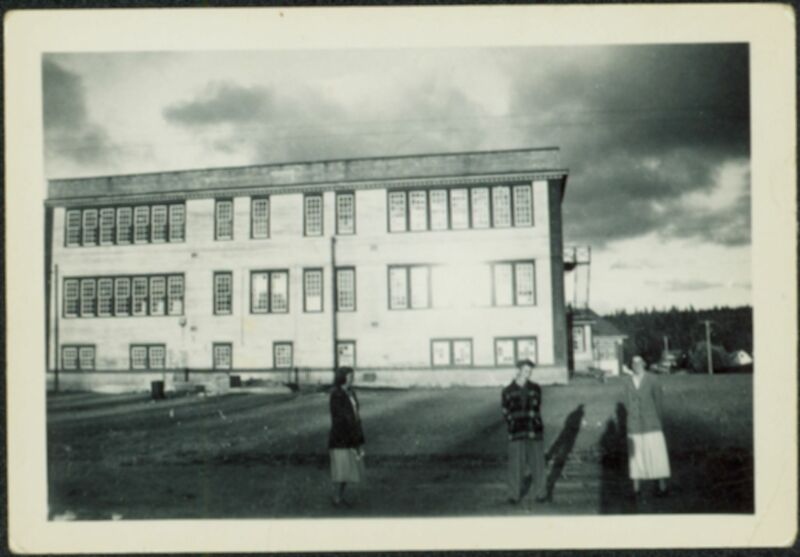 Photograph depicts a young man standing between two young women in front of three-story elementary school in Prince George, B.C. Power lines, buildings, and trees on hillside in background. Handwritten annotation on recto of photograph: "Em Joyce + Barb." Item is part of the Taylor-Baxter Family Photograph Collection. See also item 2009.5.4.53 for similar content. Stamped annotation on recto of photograph: "623".